The man who carries The Vermonter Flask isn't a run of the mill whiskey drinker. He has a special attention to detail and knows where he comes from. 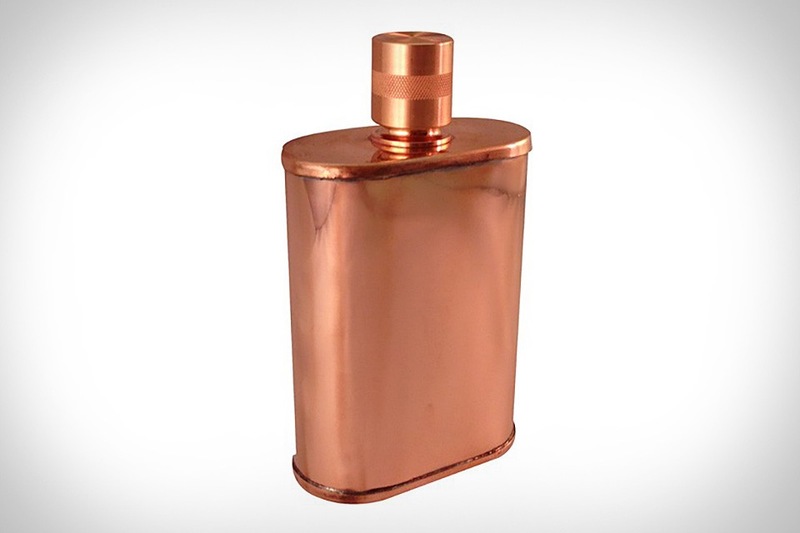 Appropriately named after the state in which it's made, this 9-ounce flask is hand-built from pure copper by the folks at Jacob Bromwell, and is virtually identical the ones used by whiskey drinkers and pioneers in the early days of American history. The machined copper screw top prevents it from leaking, while the copper body keeps your whiskey of choice fresh and ready to consume.